AFB Presents Starman's Toys I Grew Up With: DinoZaurs! 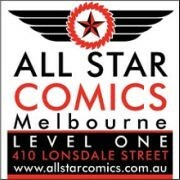 Following on from last month's successful look at Blastaar, our friend Starman is ready to bring us the next installment of his AFB Guest Feature, "Toys I Grew Up With." The thing that makes this feature so interesting to me is the wide range of lines Stars has collected over the years, and I think you'll agree! Over to you, Stars! Up today for your viewing pleasure is a little line from Bandai called DinoZaurs. This line was imported from Japan in 2000 where they are known as Dinozone. The line consisted of transforming dinosaurs, dragons and pre-historic mammals. The offerings from this line consist of: Basics, Deluxes and boxed figures. There were 5 boxed figures and also 5 boxed sets consisting of 2 or more figures. 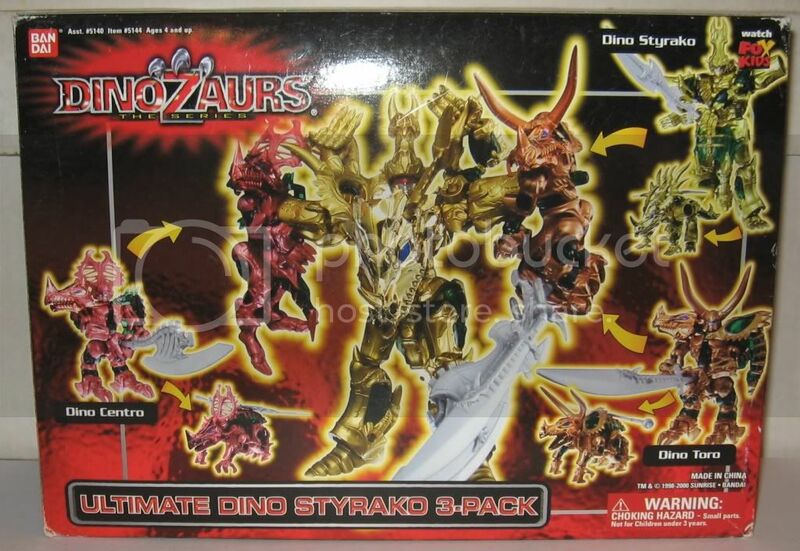 Out of the boxed sets, only the Ultimate Dino Styrako 3-Pack contained all new figures. The rest consisted of one or 2 re-issued figures and one or 2 new ones. 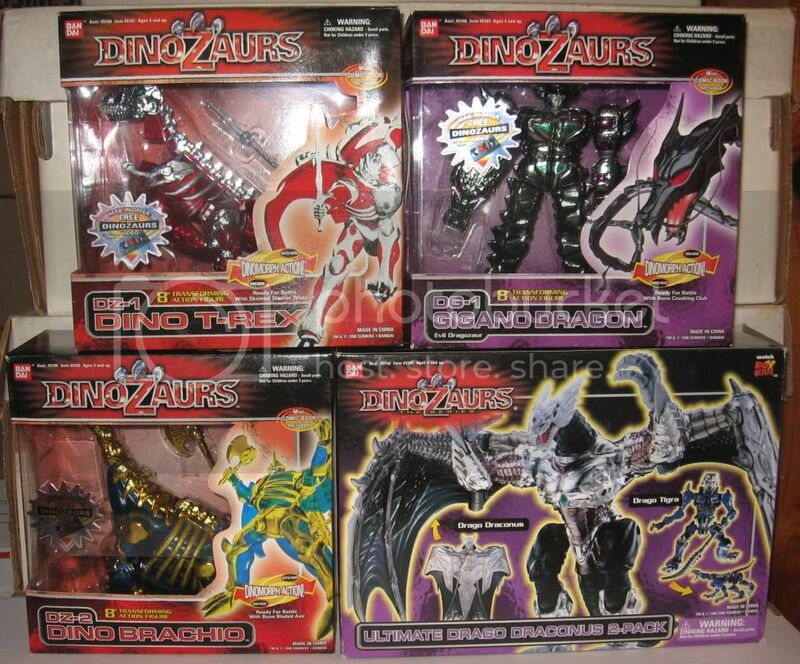 All of the Dragozaurs were repaints of the Dino Knights with the exception of Gigano Dragon, Drago Wing and Drago Draconus. 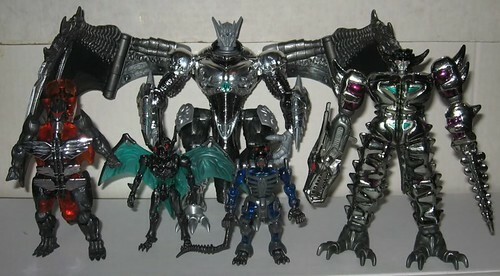 The line also contained 5 figures that were non-transformable “action figure” versions of 5 of the Dino Knights. Each one of these had an action feature and were pretty good. Have a look at two pics of the figures here, and then check out all the rest of my pics at the full review at the AFB Forum. Check out the Toys I Grew Up With Board at the AFB Forum, and comment on this post to enter the February AFB Comment of the Month Contest! Gotta love those crazy Japanese! They come up with the best stuff. Another fantastic effort Stars! wow this stuff is amaazzzzing! That is so nostalgic. I used to have an entire shelf full of DinoZaurs. I think I will buy some of these for my kid. I'm seriously looking for these toys. It's the only line from my collection that's lacking. Can anyone help?? ?